Bork! Also, for once, Kit is kinda being the voice of reason?? Though I guess she did say she wouldn’t go against any official decrees “for a while”…. So anyway, BORK! SUPPORT FEY WINDS ON PATREON!! 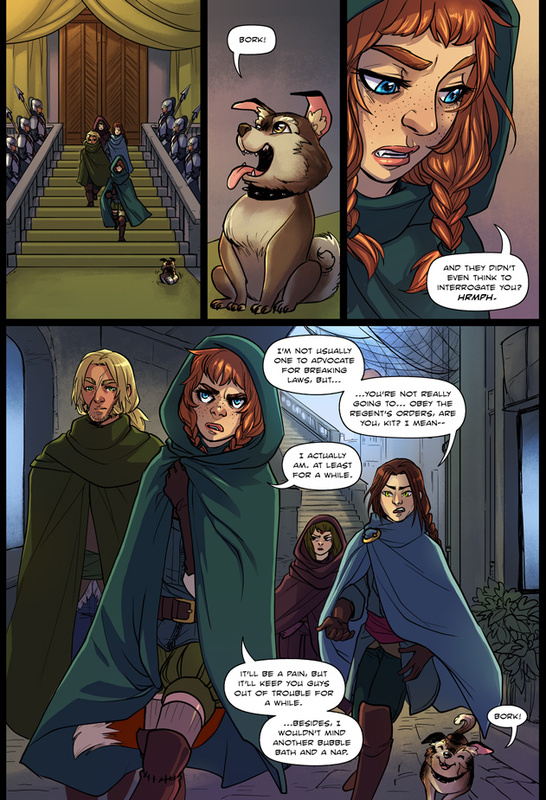 is an online comic about Kit and her adventuring buddies, on a semi-epic quest to free oppressed treasure, kidnap princes in distress and stay one step ahead of all the trouble that seems to chase them around.